Here you will find a selection of almost 200 different types of audio and video adapters. We have sorted these into different groups. 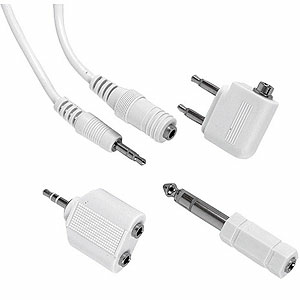 If you are looking, for example, for a 1/4" to 3.5mm adapter, you will find them in both the 1/4" and the 3.5mm section. Most adapters are available in both Mono and Stereo versions, so you will want to make sure your read the full description on each part.